Different - Pro Raleigh Magician - When only the best will do! 7 More Magic Performance Videos Here! Short, fat, and bald – but incredibly handsome! Don’t worry, he parties for a living! 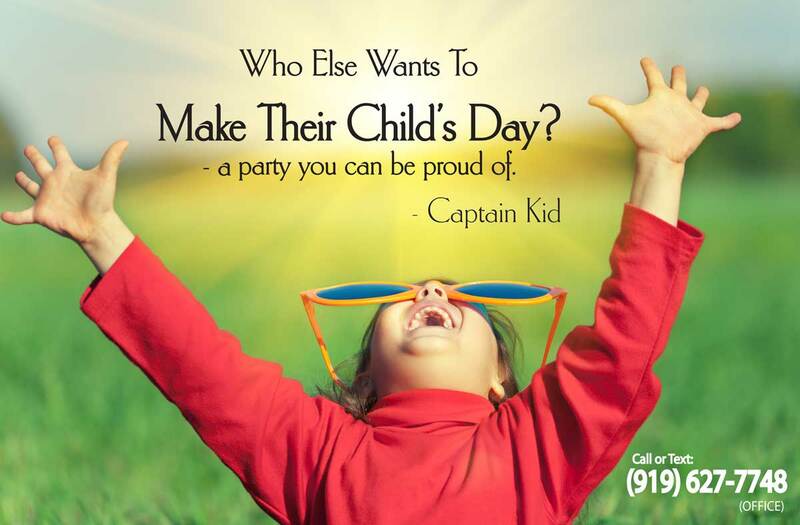 Hello, I’m a Raleigh magician for kids’ parties and shows, Kerry KC Cameron, or “Captain Kid”. Jax (my parrot) and I love performing for kids and families! Most of my kids’ magic shows are for the 3-11 year old crowd. 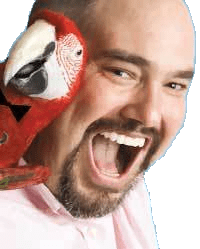 The show consists of Fast-Moving Comedy Magic, Stunts, Puppetry, Tricks and Pictures with Jax the Parrot. I also have as an add-on, Balloon Animals. The kids (and adults) will be thoroughly entertained the whole show! His parties are mess free! Let’s not forget about gentle giant parrot Jax – yes, a real interactive parrot! He treats your child like a VIP. Click here to see 120+ VIDEO reviews of my shows. I am the ONLY “wizard” in Raleigh, NC who posts full routines with the whole kids’ magic show online. There are no surprises for you – but plenty for the kids!. Be confident that your family and friends will love my show. You are looking for a responsible children’s entertainer who will make your child’s party magical and minimize your stress. You’ve found him! I am a professional entertainer. If your child loves attention, he or she will be the star. Or if your child is shy, I will respect his or her comfort zone.